A Little More Than Ordinary...: A Whole Sea in Glass!! 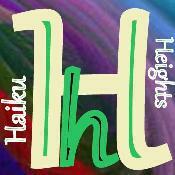 I remebered having these lines taking birth..
so decided to share as my second post for Haiku Heights.. Given time, all things become diamonds. Seaglass, though, remains seaglass; cannot be improved upon. This is gorgeous. Congratulations in advance on reaching your 500 by tomorrow! Wishing you many blessings for that. Looks like I have another 458 posts to catch up! Kudos on 499 and soon 500 ! These lines are beautiful.